Nature’s Bounty has a reputation for delivering results at an affordable price. 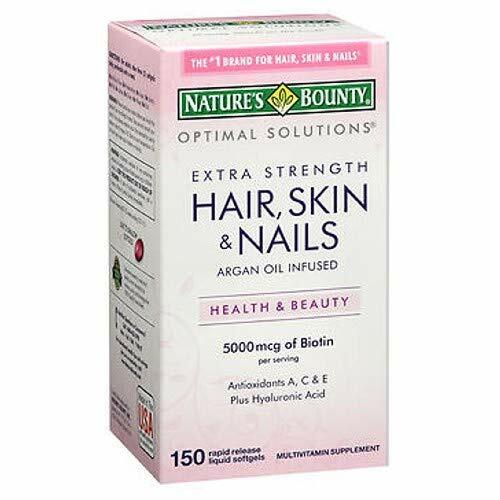 These Hair, Skin, and Nail capsules will have you looking and feeling good! Fueled by B vitamins, biotin, and vitamins A, C, and E, the once-daily oral supplement encourages collagen production, caters to all things skin maintenance, and improves energy levels. That radiant glow you’re seeing will be all-natural, not just the byproduct of creams and serums.